One of the big issues facing patients and healthcare providers in developing countries is access to quality medicines. 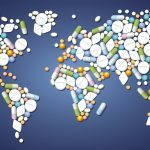 The United Nations Millennium Development Gap Task Force Report 2012  states that just over half (51.8%) of public health facilities in developing countries are able to provide ‘essential medicines’. There are initiatives in place to improve access to medicines, with particular regard to the production of generic drugs. However, the quality of these medicines is of great concern. Cardio Debate recently published a series of interviews discussing the challenges of using generic drugs in cardiology. Here, Professor David Holt, Professor of Bio-Analytics at St George’s University of London says: “I am often asked if generic formulations are all the same in terms of efficacy and safety with respect to the originator formulation. The thing you have to understand for the generic regulations, the procedure you go through when you produce a generic medication, they do not look at safety and efficacy. We have a process whereby they show bioequivalence for solid dose formulations – liquid formations don’t have to show that, only that they are the same drug in the same drug.”[5, 6] This is in the context of producing generic drugs in Europe, one can only imagine the challenges in areas of the world with less stringent manufacturing regulations in place. Quality assessment of seven cardiovascular drugs in 10 Sub-Saharan countries. The SEVEN Study. JAMA Cardiol 2017; 2(2): 223-5.